Fonts play an integral role in our identity system. 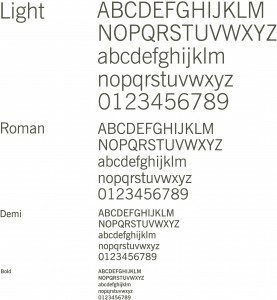 The primary font News Gothic Bold is an easy-to-read sans serif font. We use it in our logo for the words “Cleveland Clinic” and for community hospital names and descriptors. 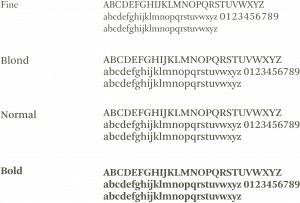 The primary font News Gothic BT is an easy-to-read sans serif font. Use it in headlines, subheads and primary messaging. Our secondary font, Arnhem DTL, is an easy-to-read yet distinctive serif font. When used in body copy, it provides a well-rounded complement to News Gothic BT. Use only News Gothic BT and Arnhem DTL fonts. They are available for both Macintosh and PC platforms. If you don’t have News Gothic BT or Arnhem DTL, Arial and Times New Roman may be substituted.